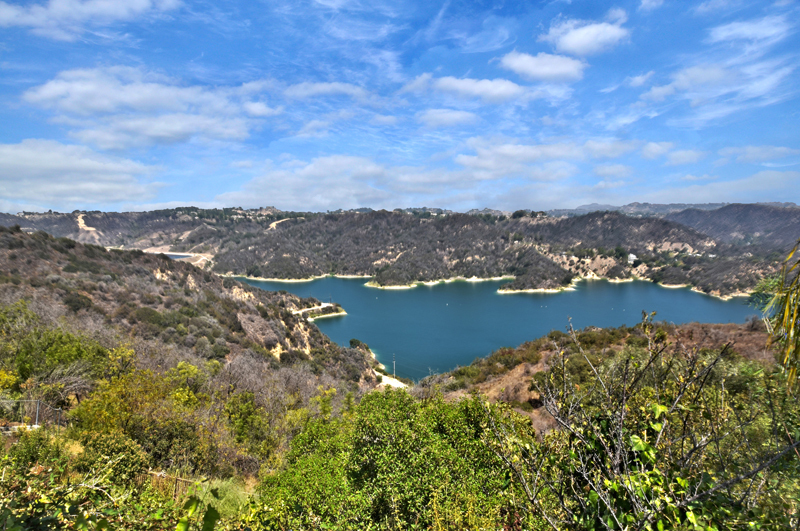 In the hills above Los Angeles, Stone Canyon reservoir is an oasis of blue. Today’s Bel Air home offers views of colorful canyons and downtown lights from this private and picturesque Bel Air home. 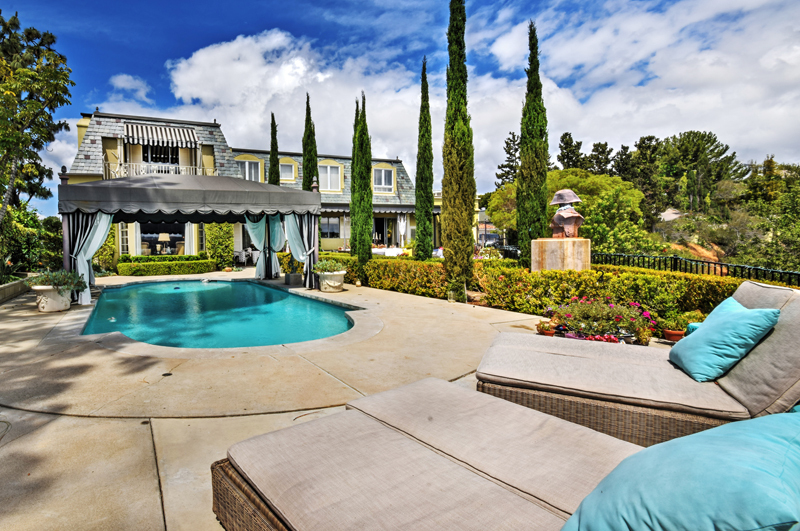 Private, walled and gated for ultimate discretion, the two-story grand entry leads to walls of glass overlooking the sprawling yard with Cypress trees and alluring resort-like pool and cabana, on an expansive 26,809 square foot lot. The home was built in 1967 and was designed to maximize indoor-outdoor flow. 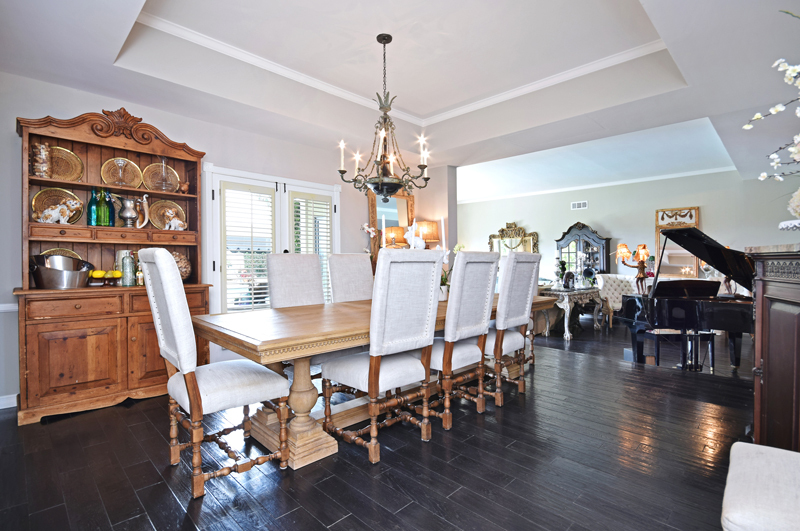 The classic styling includes high ceilings, a formal living room with fireplace, formal dining room, kitchen w/center island breakfast bar, and breakfast/sitting area. On the first floor, you will find a cozy family room and a library/study with fireplace and a small gym. The top floor master suite feels like a sanctuary replete w/a private balcony and stunning views, fireplace and walk-in closet. On the upper level, you will also find three additional bedrooms and two en-suite bathrooms. 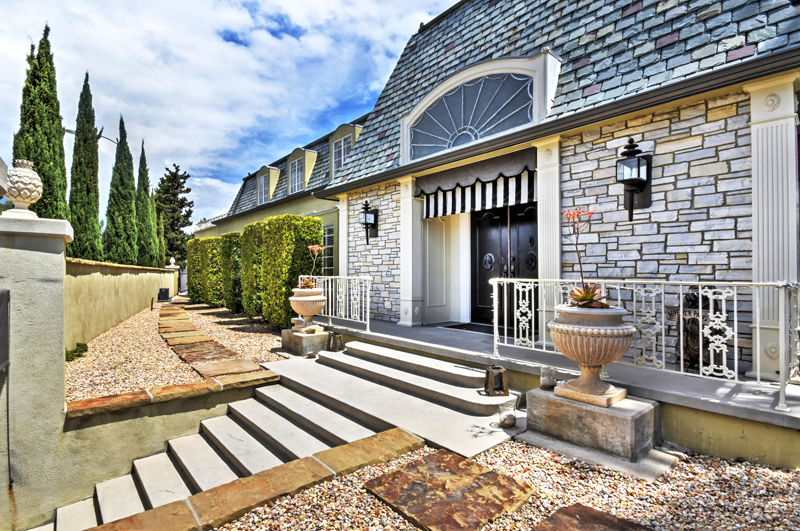 The story of this home is true privacy and ultimate tranquility on one of the most coveted Bel Air streets, yet minutes from Sunset Blvd and Beverly Hills. 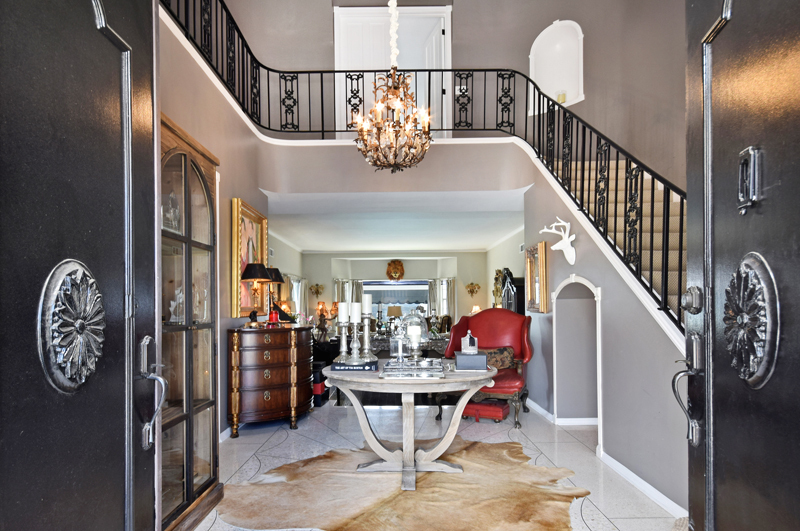 This property is listed for $4.874 million and is showcased by Luxury Portfolio.